Public hearing on NBN turns private for Implementation Study authors. 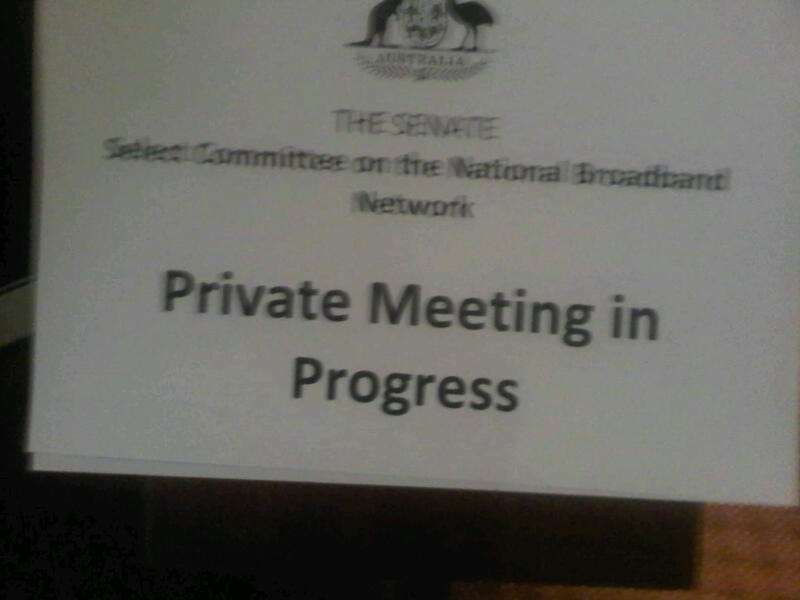 Members of the public were excluded from one session in an otherwise open hearing by the Senate Select Committee for the NBN today, after the Federal Government requested that representatives from consulting group McKinsey and Co deliver their evidence in private. McKinsey were co-authors of the controversial NBN Implementation Study, which was delivered to the Federal Government as part of a $25 million commission alongside KPMG. The chair of the committee, Liberal Senator Ian Macdonald, confirmed that McKinsey's evidence was provided today behind closed doors at the request of the Department of Broadband, Communications and the Digital Economy (DBCDE). Macdonald said the department wished for the evidence to remain off the public record as "consulting companies rarely make public statements about their clients." The Senator told iTnews that while private hearings are not unheard of and the department's desire to protect McKinsey was "understandable", he felt the burden on the taxpayer to fund McKinsey's $25 million Implementation Study warranted public scrutiny. "Rarely do the taxpayers of Australia pay $25 million for advice, so this is an unusual situation," the Senator said. "The department indicated that they did not want McKinsey to provide public evidence for contractual reasons. That was the justification given." Macdonald is unable to reveal the contents of the discussion, but said publicly that it was "basically an explanation and confirmation of the assumptions made in the Implementation Study," which in of itself was "innocuous." "There was some useful information, but I am not sure they convinced me the information had to be private and confidential." The Senator was more aggrieved by the delay in releasing the study. "I asked members of the department today - if the study is so good, why did it take the Government two and a half months to release it? "They replied that the Government had to study it. But to me, that pre-supposes that if it didn't confirm with what the Government wanted it to say, it wouldn't have been released. Otherwise it could have been released by the Government the day they got it." Macdonald said the terms of reference of the study only allowed for it to advise the Government on a plan it had "already made up its mind on", rather than examining if it was good policy or if there were more appropriate options.